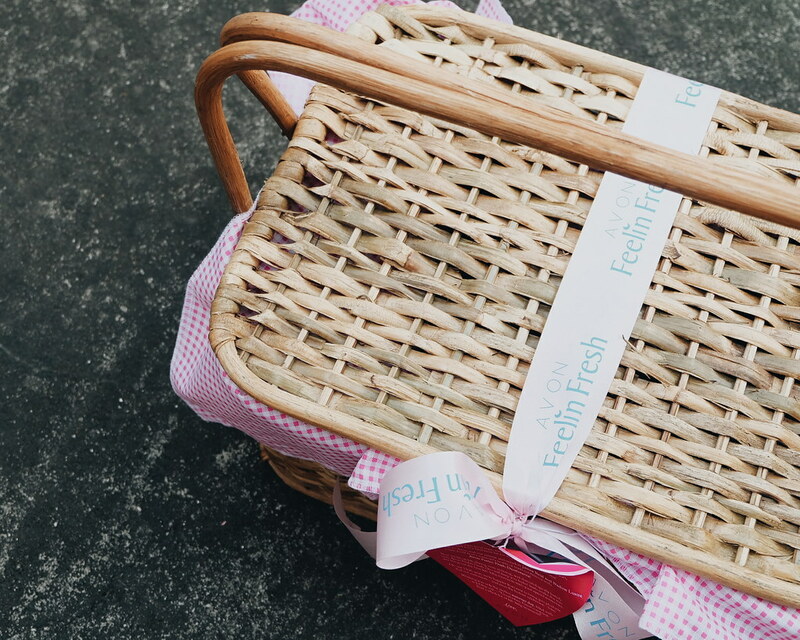 A big picnic basket was delivered earlier today. I have a feeling it came from one of my favorite brands - Avon Philippines! The first question I asked the messenger who carefully untangled it from his motorcycle - "Does it have a baby inside?" He laughed and told me there was none - he has not heard a baby (or a cry) since yesterday. When I opened it.. well, I found my favorite Love Team! Haha #Jadine! Indeed, Avon Welcomes Summer with new Ambassadors - James Reid and Nadine Lustre. 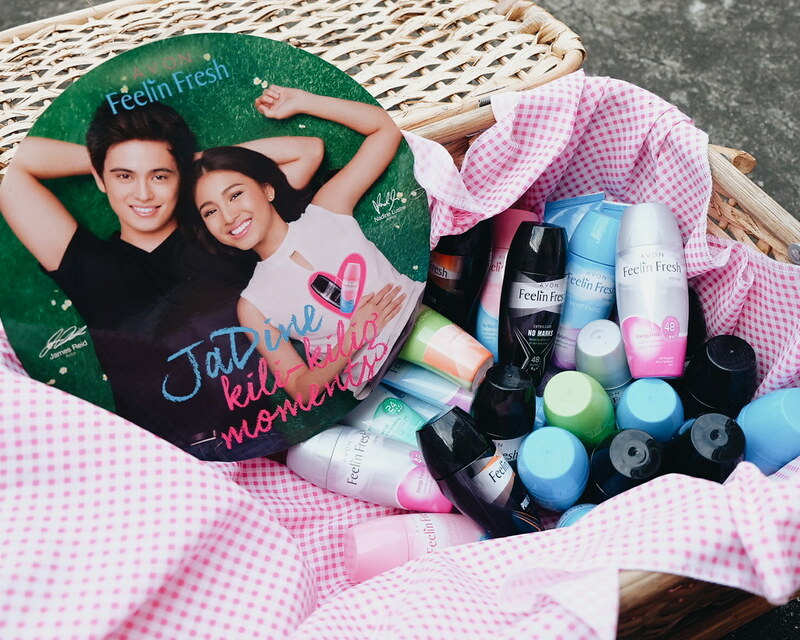 Opening the box is like unveiling their secrets to the perfect day: kili-kilig moments with Avon Feeling Fresh. I would hate to get close with someone (whether I like the person or not) and smelling "un-fresh". 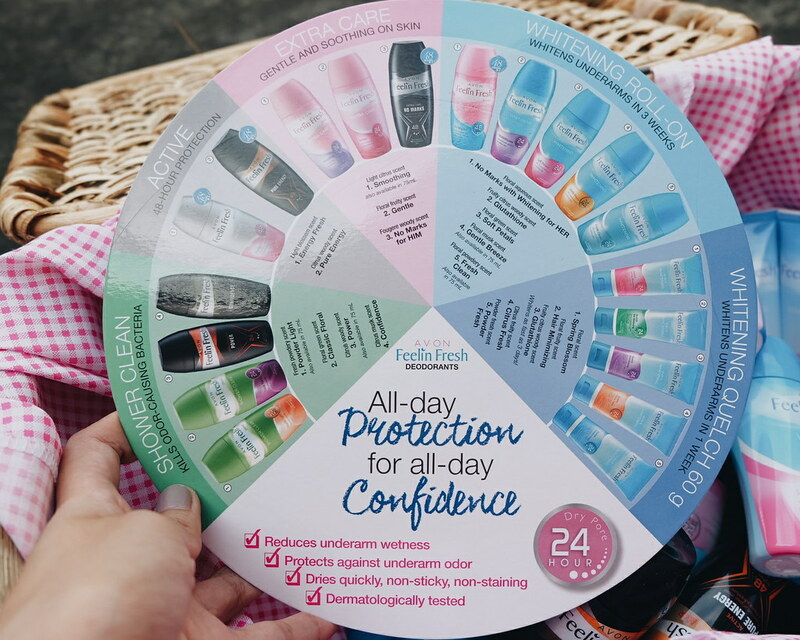 More than a good smelling perfect, everyone needs deodorant - especially in this summer season. It is important to stay fresh in whatever activity you get invited to - road trip food trip, hitting the gym, or just having fun under the sun. James and Nadine started their romantic comedy teen flick in 2014 and their unexpected chemistry sizzled since which translated into more silver screen projects, concert tours and TV shows. Have you guys been following their social media? I love how they document their adventures. Feeling Fresh is important to give you the confidence to get close with someone. Planning to wear a crisp white shirt or little black dress? You can do so with Avon's Feelin Fresh No Marks for Him (php 149) and Feelin Fresh No Marks with Whitening for Her (php 149). You need to be able to spin into his arms and glow with confidence. Get that confidence with Feelin Fresh Whitening Anti-Perspirant with Glutathione (php 149) and Feelin Fresh Whitening Anti-Perspirant Soft Petals (php 129). Food trip, work-out, movie night or just plain doing nothing - you can do it without being amoy-pawiss. It is always good to always feel fresh and smell good. Thankfully, there's Feelin Fresh Quelch. Here's the good deal, the Feelin Fresh Deodorants are available at Buy 1, Get 1 FREE from April 1 to 31. To order, call your Avon Representative or order at www.avonshop.com.ph.